Every home, vacation or rental property, and business can benefit from a fresh new look. When preparing to remodel, it’s vital that you make informed decisions with help from a quality designer. If you’re seeking an interior design service near Denver, reach out to us at Viridis Design Studio. We expertly transform homes and commercial spaces alike, covering everything from bathroom and kitchen fixtures to personalized creative statements, and from productivity enhancement to electronics integration. You’ll want for nothing once you’ve engaged us! We value your originality and that of your space, and strive to do it justice with our creative interior design solutions. The colors, patterns, textures, and moods we develop are cultivated from world travel and study of many cultures. Our diverse “Organic Chic” aesthetic employs everything from elegant natural elements to stylish modern geometry, resulting in a vast repertoire to satisfy every taste. You deserve a customized remodel, based on your individual vision for your home or company. We apply professional expertise, the latest materials, and innovative techniques to make your unique design a finely crafted reality. We work tirelessly to ensure that your final result is a one-of-a-kind space that will exceed all expectations. To experience the difference a quality interior designer makes, contact Viridis Design Studio by phone or web today. We would be honored to help breathe new life into your space. Want to know more about what we can do and where we do it? 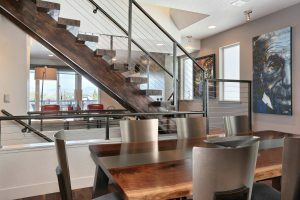 Reach out to Viridis Design Studio by phone at (303) 489-9958 or by filling out our online contact form and we’ll do our best to answer your questions about our interior design services.